Seeing the future is one thing. Being ready for it is something else. 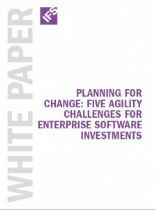 Download our new Business Agility whitepaper on Planning for Change. Today, you may be in the aerospace components business. Or the power generation business. Or perhaps you manufacture pumps and fluid handling systems or operate an oil and gas pipeline. For many of us, the answer to this question is different than it would have been 10 years ago. Over that decade, mergers and acquisitions may have broadened the scope of our business to include different products or divisions that serve additional industries. Perhaps you go to market differently, or augmented your manufacturing operation with a profitable aftermarket service business. Or if you are in manufacturing, you may have transitioned your business model into more of a product management business that translates market demand into products that are in fact manufactured by contractors in other parts of the world. These changes, cumulatively over time, change not just the face but the nature of any business. And it is the ability of each company and its management team to ascertain which economic and market changes must be addressed immediately and how the structure and underlying systems of the company must adapt. 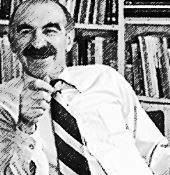 Renowned marketing scholar Theodore Levitt stressed that, in the face of this change, companies must determine not just what narrowly defined business they are in, but what business they are really in, on a more holistic level. Otherwise, the narrow definition for the business was at risk of becoming obsolete. In his watershed article in Harvard Business Review, Marketing Myopia, Levitt describes how, by focusing on the narrow business definition, executives fail to see their companies’ larger purpose, and how this can ultimately lead to their decline or demise. While Levitt wrote his piece in the 1960s, the companies he cites as prime examples of how to successfully recognize and adapt to change have done very well, Dupont and Corning. Failures to recognize and adapt to change in the market and customer demand are more numerous perhaps than successes. Levitt cites the failure of railroads to recognize that they were really in the transportation business and expand into new vehicular transport technologies. We can cite plenty of examples in our own time – my favorite being the newspaper industry and its monumental failure to aggressively involve itself in online publishing. Their capital investment in presses and the way that investment and their extensive distribution channels had insulated them so long from competition may have made them feel invulnerable. Yahoo, Ariana Huffington, Matt Drudge and a slough of other companies and individuals, however, taught the market that news services should be free and constantly updated in real time. So the entire journalism industry finds itself in search of a new revenue model, and newspapers are only starting to adapt. It is easy to criticize the newspaper industry, which did not see it was in the news and content business. But self-criticism may be more helpful. What business are you really in? Will your company be like a Gannett and be blindsided by change, or like a DuPont and embrace it? Will you define your company’s existence broadly enough? Will you have the vision, the knowledge and the agility to succeed in the face of change? 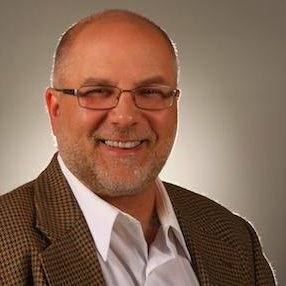 In a new series of whitepapers, IFS digs into the specific requirements for business agility, not only from an enterprise technology standpoint, but as Levitt does, from an attitudinal and philosophical standpoint. The latest in the series, “Planning for Change: Five Agility Challenges for Enterprise Software Investments,” holds up as an example Richard Branson, who 23 years ago trademarked the name Virgin Galactic, and today the company is on the brink of its first commercial space flight. Branson had a vision for the future, which is fantastic. But many of the changes that will affect our business are not those we would anticipate or desire. In the whitepaper, we deal in depth with the need to identify and adapt to unexpected, disruptive changes. Read the whitepaper and tell us … how ready for change are you?